Colonel George C. Howe, a pioneer in Duluth real estate, built the three-story Howe Block in 1891. The Kitchi Gammi Club, which had been burned out of its home at the Grand Opera House after a fire in 1889 destroyed their facilities, leased rooms within the Howe that same year. The Howe Block’s first floor was reserved for retail space, and the Club occupied the second and third floors, staying there until its own building was constructed in 1912. The brick-and-stone Romanesque Revival building featured a round corner tower and a second-floor balcony overlooking First Street. 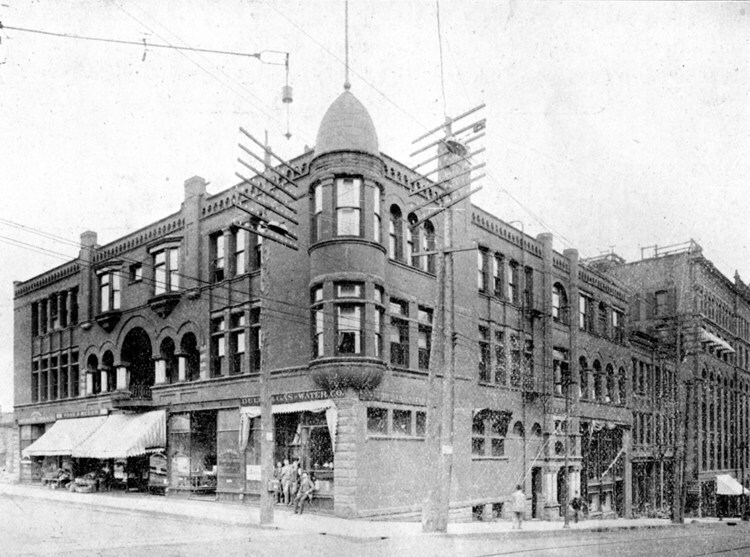 Howe sold the building when he moved to Minneapolis in 1912, and the structure became known as the Glencoe Building. 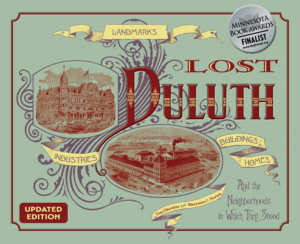 On September 22, 1940, a fire damaged the building and sent 21 Duluth firefighters to the hospital after they were overcome by gas fumes. The building was demolished in 1946.